Considering buying or selling a home in Clarington? It would help to understand which MLS districts are performing best in the area. 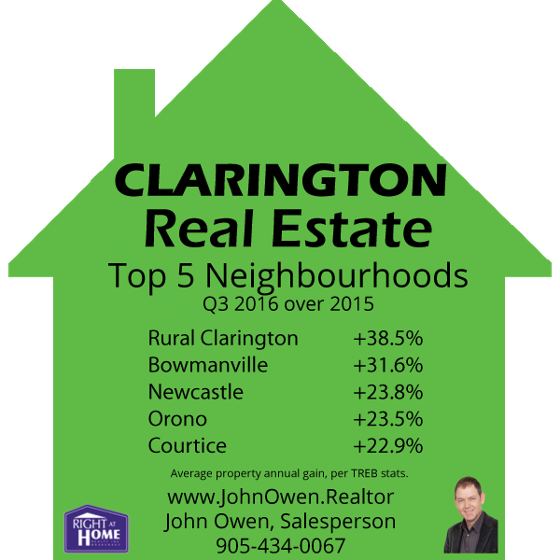 The number one area in Clarington was Rural Clarington. The average one year increase here was exceptional at 38.5% with the average price in Q3 of 2016 being $664,038. In Q3 of 2015 the average price was $479,293. Providing substantially to the rise here is the 407 extension that is rapidly working its way through the area. 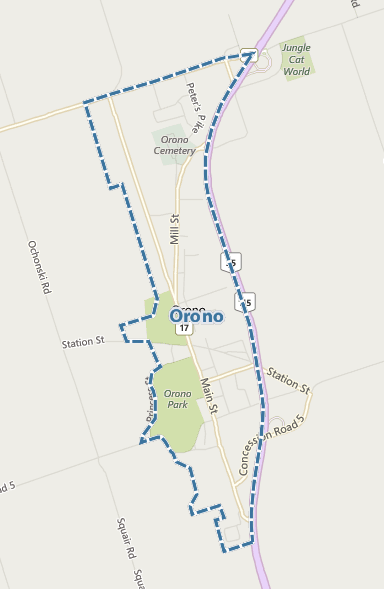 It is expected to be open to east of Courtice, as well as the 418 link to the 401 by the end of 2017. In second spot was Bowmanville. With an average gain of 31.6%, the average price was $463,942 in Q3 2016 over an average of $352,571 last year. Contributing to Bowmanville demand is a planned GO train extension and refurbishment project at Darlington. Third place was Newcastle. Prices gained an average of 23.8%, with a Q3 2016 value of $467,189 over last year's $377,303. 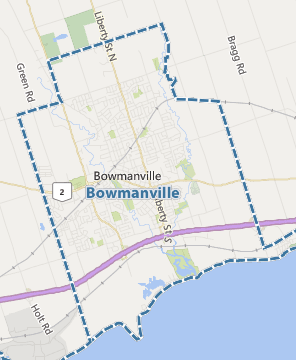 It's only a few minutes east of Bowmanville, with a small town feel. Fourth place went to Orono. Prices here rose 23.5% with an average selling price of $491,500 in Q3 2016 versus $398,071 in Q3 2015. 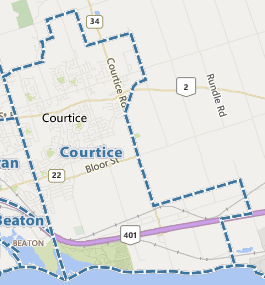 In fifth place was Courtice. In Q3 2016 the average price was $500,081 compared to $406,943 in 2015. 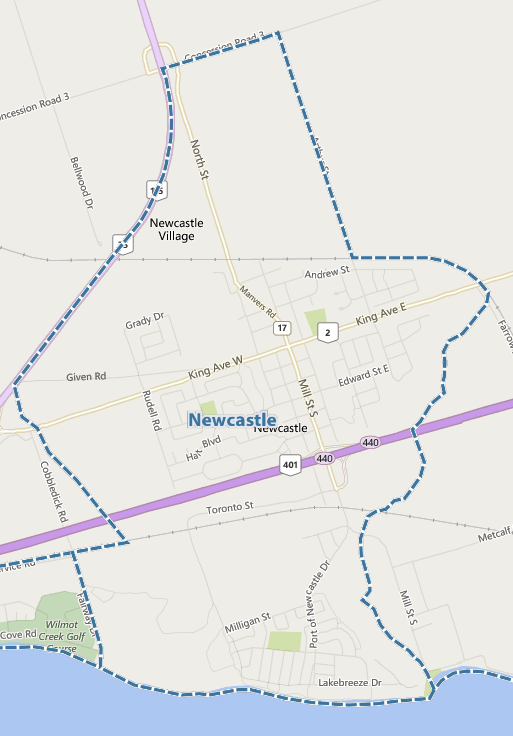 Areas in the north will benefit from the opening of highway 418, slated to open late 2017.